The Geostationary Lightning Mapper is a single-channel, near-infrared optical transient detector that can detect the momentary changes in an optical scene, indicating the presence of lightning. GLM measures total lightning (in-cloud, cloud-to-cloud and cloud-to-ground) activity continuously over the Americas and adjacent ocean regions with near-uniform spatial resolution of approximately 10 km. 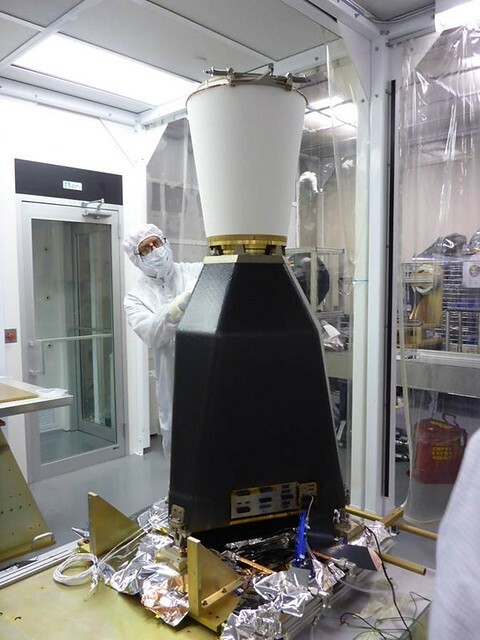 GLM is the first operational lightning mapper flown in geostationary orbit. provide critical information to forecasters, allowing them to focus on developing severe storms much earlier and before these storms produce damaging winds, hail or even tornadoes. Such storms exhibit a significant increase in total lightning activity, often many minutes before the radar detects the potential for severe weather. Used in combination with radar, satellite data, and surface observations, total lightning data from GLM has great potential to increase lead time for severe thunderstorm and tornado warnings and reduce false alarm rates. Knowledge of total lightning activity and its extent will help improve public safety. Data from the instrument will also be used to produce a long-term database to track decadal changes in lightning activity. This is important due to lightning’s role in maintaining the Earth-atmosphere electrical balance.